Following a trend for online auction sales of real estate, a home in Lincolnville will be up for sale online starting in late March. It overlooks Penobscot Bay. Following a recent trend for all types of real estate to be sold by online auction, an oceanfront home in Lincolnville will go up for sale for a week at the end of March. 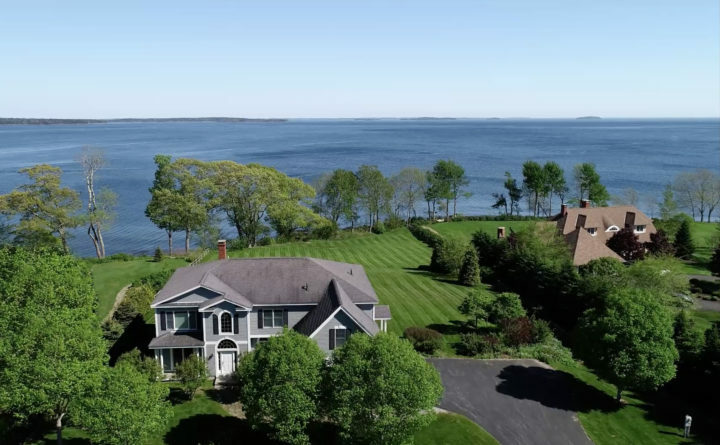 The home at 29 Water’s Edge Drive overlooks Penobscot Bay. It will sell at the highest bid over $300,000, according to Jeff Hathorn, executive vice president of Target Auction & Land Co. of Gadsden, Alabama. He announced the upcoming online auction on Tuesday. Hathorn said his company partnered with auctioneer, Paul McInnis LLC of North Hampton, New Hampshire, which has a license to operate in Maine. The bidding will start March 27 and end April 3 at 2 p.m. Eastern time. Hathorn said he is seeing more residential properties being sold online, partly for the owners’ convenience. Online auctions also can draw a broader pool of potential buyers. It usually is more common to see commercial and retail properties sold that way. His company sells about 15 residences a year via online auction. Reserves often are kept secret to bidders, but in this case the reserve was made public at a very low minimum of $300,000. The home, which was custom-built by the owner in 2003, has five bedrooms, 4½ bathrooms and offers a total of 3,559 square feet. It includes 1.36 acres and has 193 feet of ocean frontage. It has been on the market for more than a year, with a starting price of $1.25 million. But that dropped to $898,000 before the buyer put it up for auction. Interested bidders must make a $10,000 deposit. A 12 percent buyer’s premium will be added to the high bid to become the total purchase price. The auctioneers will hold open houses on March 23, 24, 30 and 31 from 11 a.m. to 2 p.m.